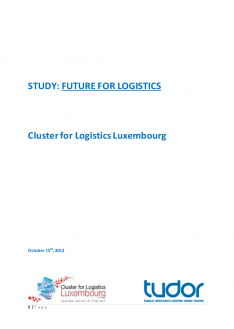 The Cluster for Logistics published a study in 2012 about the Luxembourg Logistics sector that also included an important amount of recommendations. The material, worked out in cooperation with the CRP Henri Tudor (now LIST), is copyright of the Cluster for Logistics and any reproduction or mention should include the name of the Cluster and the study. Conception & design E-connect, powered by Quilium.